In Search of the Perfect Scrambled Eggs | What Does This Button Do? 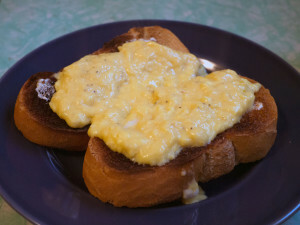 How do you make the perfect scrambled eggs? For my CNet column Appliance Science, the results of my experiments with sous vide scrambles…. The joy of sous vide is that you can produce this sort of differentiation. While a chef might train for years to learn how to cook like this without a precise temperature controller at his or her side, a sous vide setup puts it just a few button presses away . And it does it with the consistency that no chef can match: it doesn’t have bad days or get distracted.